Air India has decided to withdraw boarding passes with photographs of PM Narendra Modi and Gujarat CM Vijay Rupani after criticism. Ex-Punjab Director General of Police Shashi Kant claimed it was in violation of the model code of conduct. 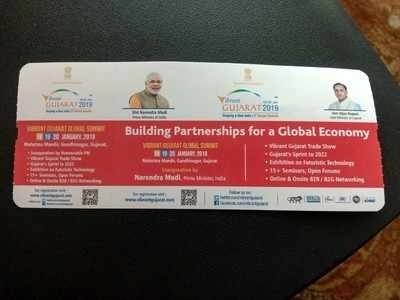 Air India clarified the passes were left over from ones printed during Vibrant Gujarat Summit and the photos are third-party advertisements. The advertisement would be removed if they were found to be in violation of the model of conduct.